Nissan reached an important milestone today with the inauguration of Ritu Nissan, its 200th retail outlet at Andheri West in Mumbai. Located strategically in the heart of Mumbai, this well-equipped, state-of-the-art showroom will provide sales and service support for both Nissan and Datsun brands. Nissan has established a significant retail presence across India in last 5 years and today’s announcement confirms Nissan has one of the most rapidly growing networks in the auto industry among any new entrant in India. In this financial year, Nissan has already opened 18 outlets in metropolitan as well as non-metro cities. In the last two months, Nissan opened showrooms in Trichy, Tirupati, Sikar and Nasik. 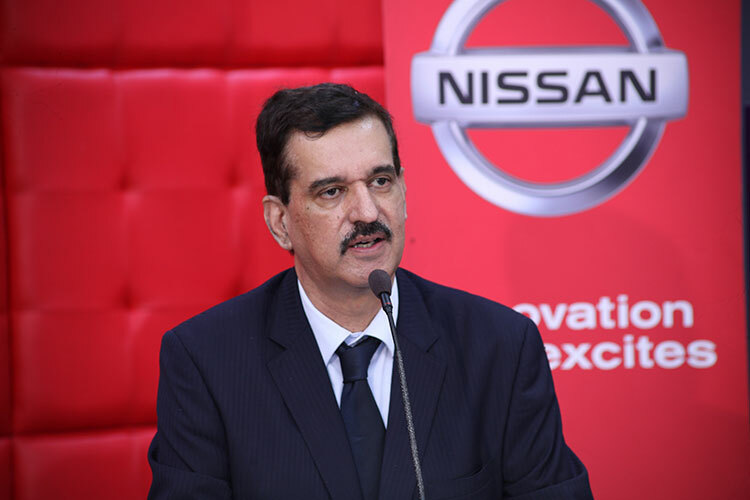 Establishing an extensive, quality-focused retail network is central to Nissan’s long-term growth in India and the company has a commitment to operate 300 sales and service touchpoints by the end of the 2016 financial year. While with network expansion, Nissan is moving closer to the customer, the company is also placing a huge focus on the customer experience at the dealerships. The brand is ranked 3rd in the recent J.D. Power Asia Pacific – India Sales Satisfaction this year. At Nissan India, we are proud to reach this significant milestone in such a short period of time. Establishing 200 outlets in a span of just five years not only makes our network one of the fastestgrowing in India, but puts us well on track to achieve our target of setting up 300 dealerships across the country by the end of fiscal year 2016. This expansion further strengthens Nissan’s commitment to its customers by bringing its world class products closer to its ever increasing consumer base. The Andheri showroom of Ritu Nissan is the fourth outlet in Mumbai including existing outlets in Thane, Bhiwandi and Bhandup. The Ritu Nissan group is led by Manoj Lalwani, who has more than 13 years of rich experience in the automobile industry. We at Ritu Nissan recognize changing customer trends and preferences. As an authorised dealer of Nissan since 2012, Ritu Nissan brings the know-how of a global automobile brand combined with the local aspects of sincere, responsive guidance and efficient, ethical service. With this combination, we plan to enhance our customer service and provide an outstanding ownership experience for our customers.